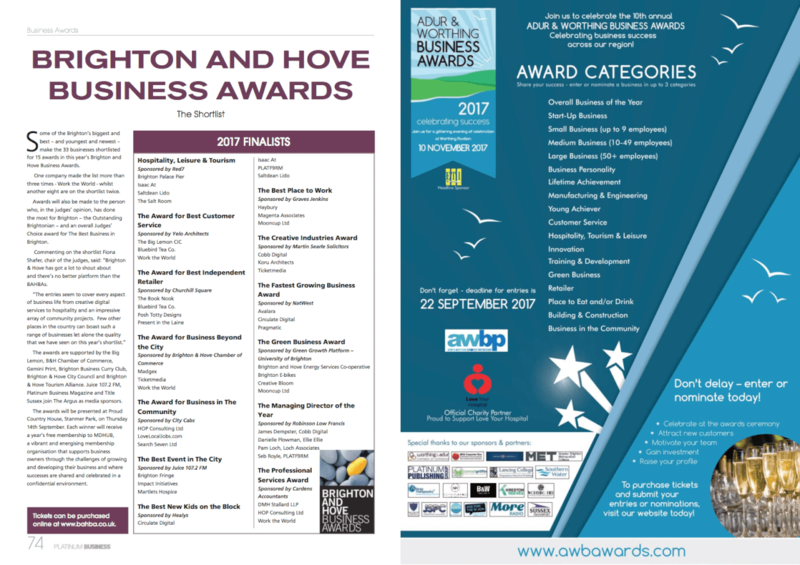 Ahead of the Brighton and Hove Business Awards, Platinum Business Magazine featured the award ceremony, its categories and its finalists in their latest issue. You can find us nominated under the ‘Creative Industries’ category. Read online here and find us on page 74.